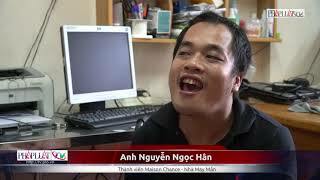 Maison Chance is a springboard for orphans, street children, disadvantaged people and the physically handicapped in Vietnam. The mix of able-bodied and handicapped people, of adults and children living together in a family setting is a unique characteristic of Maison Chance. We provide housing, health care, education and vocational training, and a place where the under-privileged children and the disabled can study and work. It also offers them the means to facilitate their rehabilitation and their reinsertion into social life. At Maison Chance, the saying "Give A Man A Fish, Feed Him for A Day. Teach A Man to Fish, Feed Him for A Lifetime" is practiced every day. Maison Chance currently has several on-going projects at the following locations: Maison Chance Shelter, Take Wing Center, Village Chance and Maison Chance Social Center in Dak Nong Province.